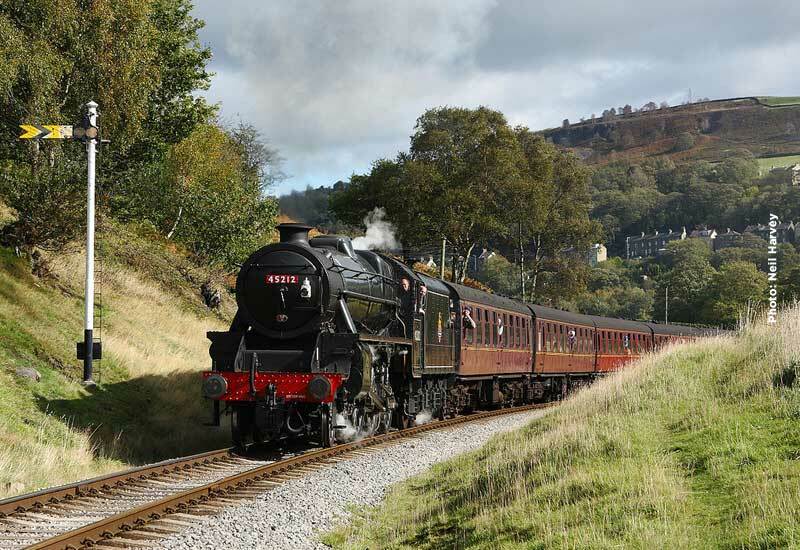 Following our announcement of visiting locomotives for the Winter Steam Gala, LMS ‘Crab’ 2-6-0 13065 and LNER Class B1 4-6-0 61264, we are pleased to report that we will be welcoming a further two or, more accurately, one plus a returnee home. 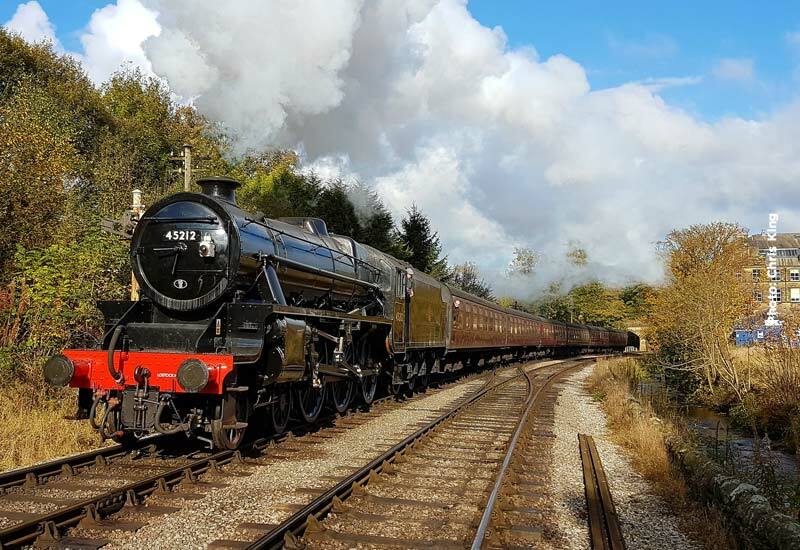 Our very own LMS ‘Black 5’ 4-6-0 45212 returned to action at our Autumn Steam Spectacular in October after overhaul to mainline condition at Ian Riley Engineering at Bury and will be returning to the KWVR metals in time to take part in the Gala after undertaking its mainline testing run. 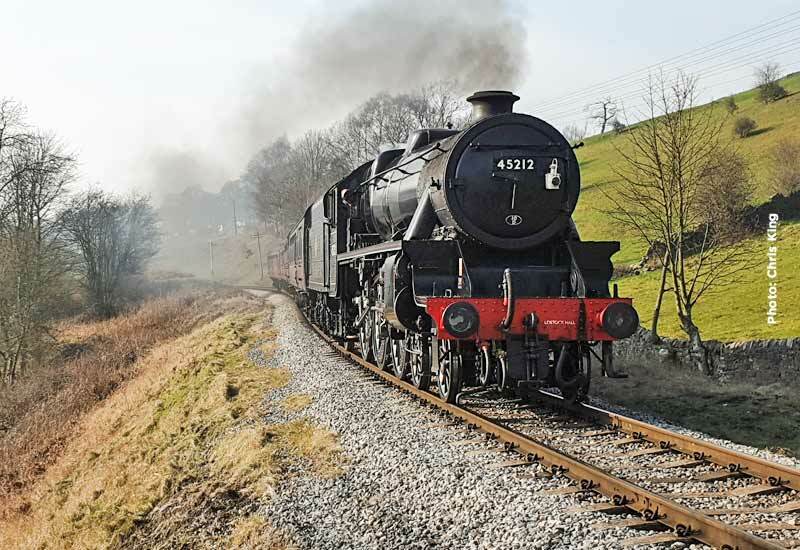 Joining 45212 will be one of Ian Riley’s own Black 5s, no’s 45407 which will run onto KWVR metals after a mainline excursion to Holyhead. 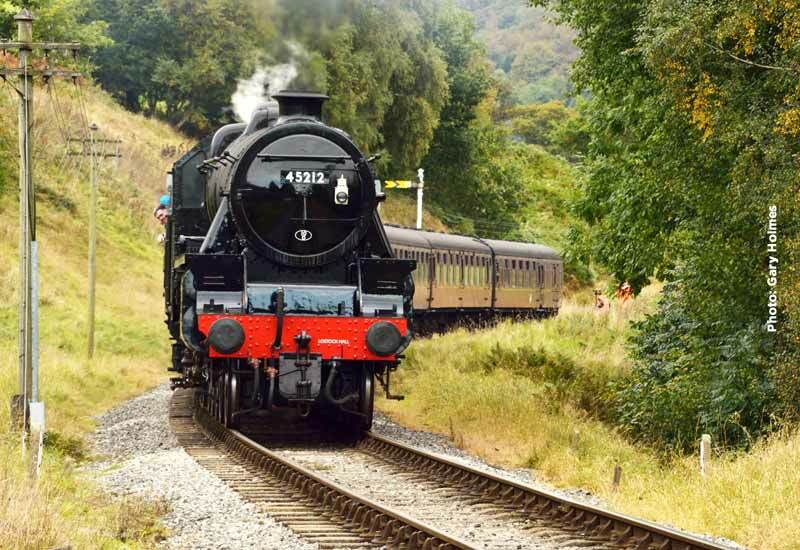 Both engines will be present with us during our Steam Gala in preparation for mainline railtour duties. 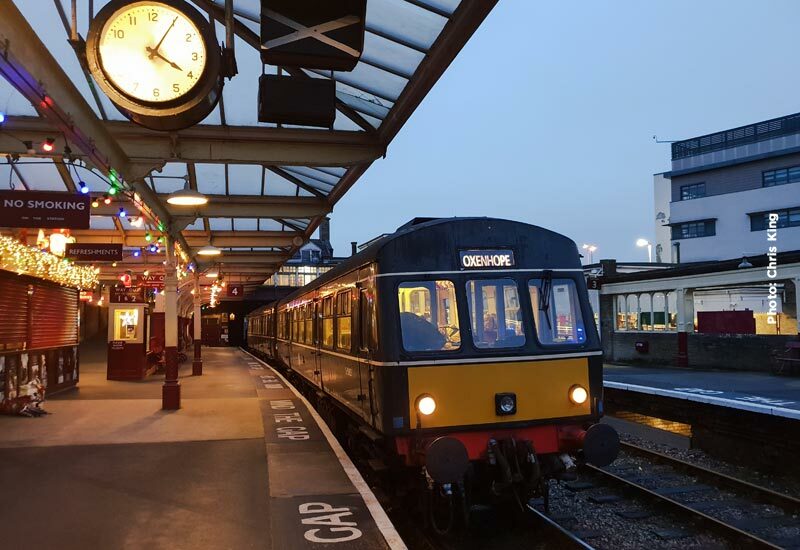 Both 45407 & 45212 will operate full diagrams on Friday 3rd and a single round trip on Saturday morning, 4th, before setting off mainline at approx. 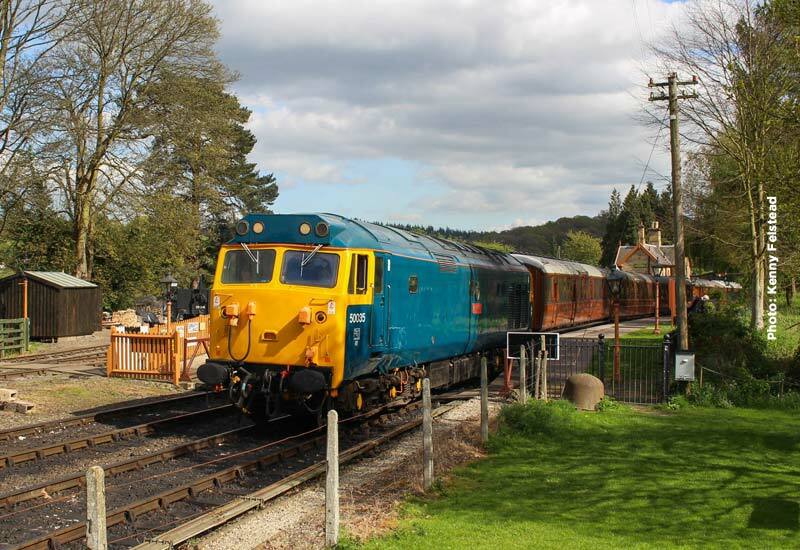 11.45 Saturday morning to take up their railtour duties on the ‘big’ railway. In past years such headlines would mean unavailability of 0ne or even two locomotives – but not this year! 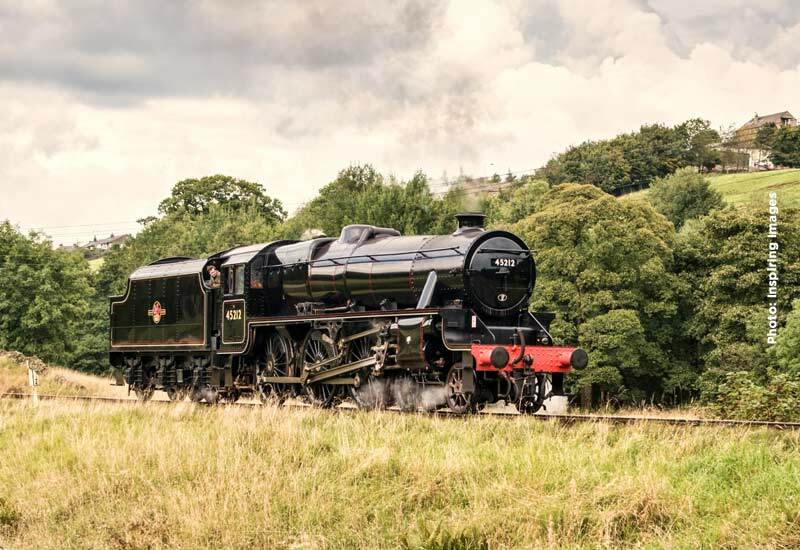 We are delighted to announce that the Railway’s ‘Black 5’ 45212 undertook a successful test yesterday and, as a result, is added to the roster for the Autumn Steam Spectacular, taking the place of MR 4F 0-6-0 43924 on some of the turns which will also act as standby for the event. 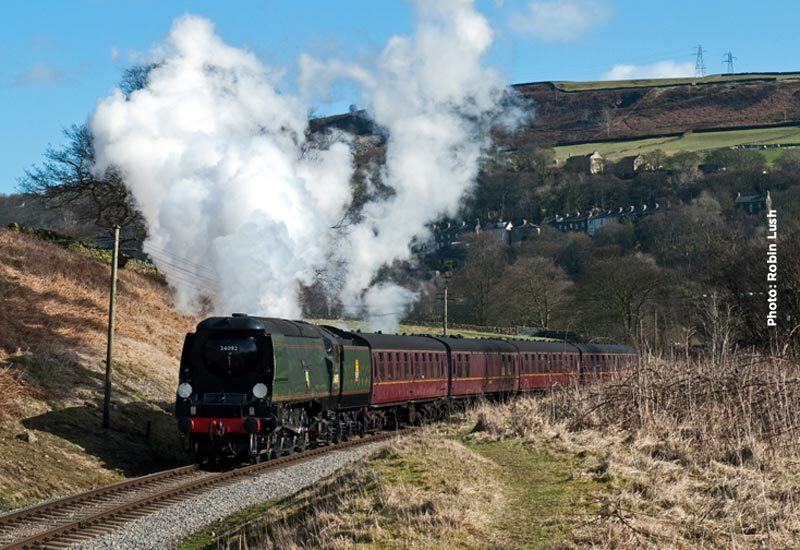 Steaming Around Yorkshire were on hand to record the test and the preparations that our volunteers and staff have been doing to get ready for the Gala. 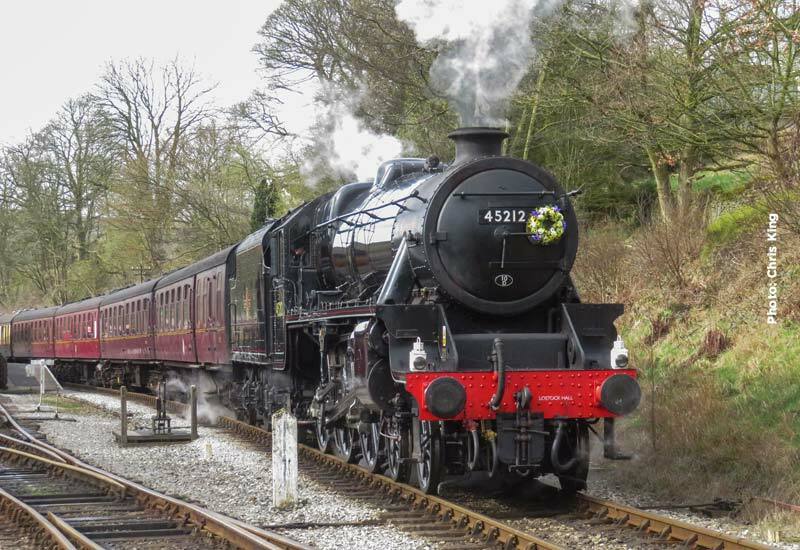 Having missed the Winter Steam Gala due to its overrunning overhaul at Ian Riley’s at Bury, we are delighted to announce that LMS Class 5 4-6-0 45212 will shortly be arriving back at the Railway for a short period of operation on the branch as part of its running-in following completion of its return to mainline condition. This return has been facilitated by the lifting of the bridge ban on the movement of locomotives by road to and from Ingrow West. 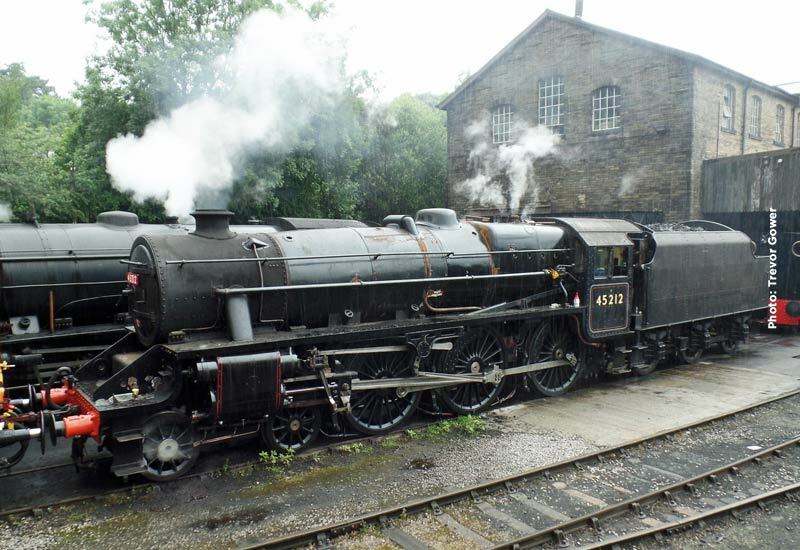 On arrival 45212 will be kept at Haworth and the dates for its operation later this month will be announced nearer the time. Watch this space for future announcements! 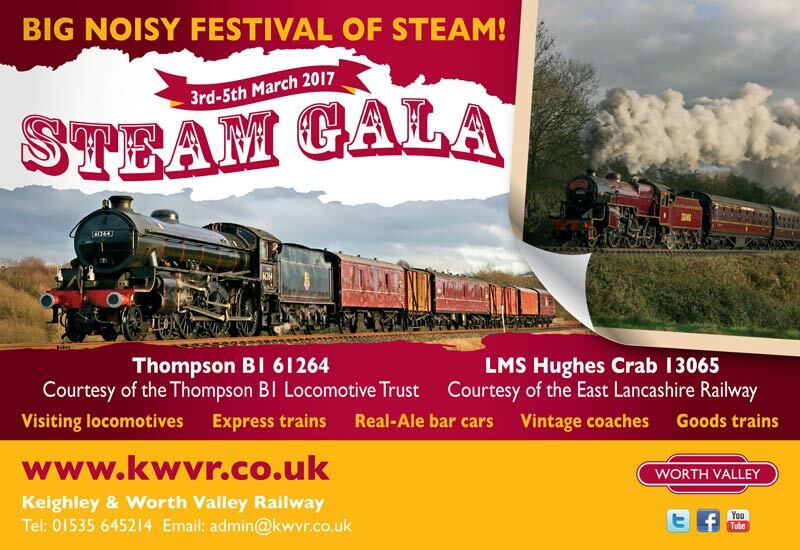 As previously announced the Gala should feature the return to the KWVR of LMS, class 5MT 4-6-0 45212, now nearing the end of its overhaul at Ian Riley Engineering at Bury, the Railway. 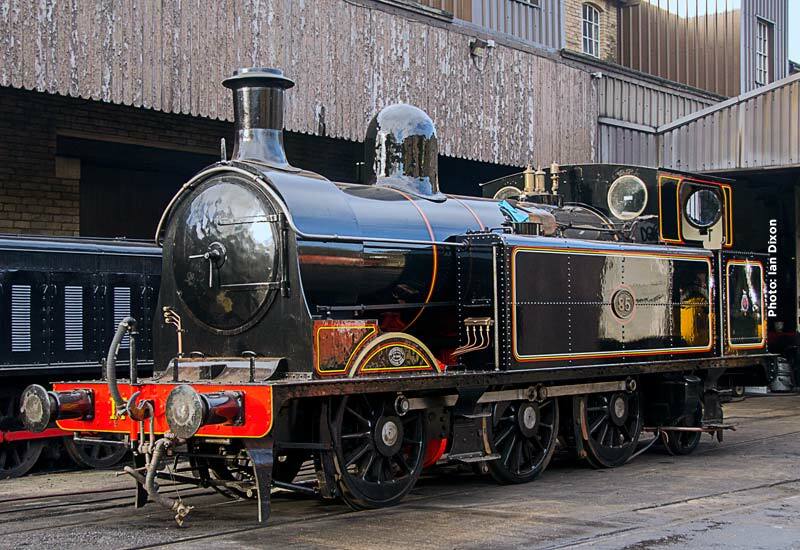 The boiler has now gone back into the frames and the locomotive may still attend the Gala although, even if complete, mainline clearance may not be obtained in time for it to attend. 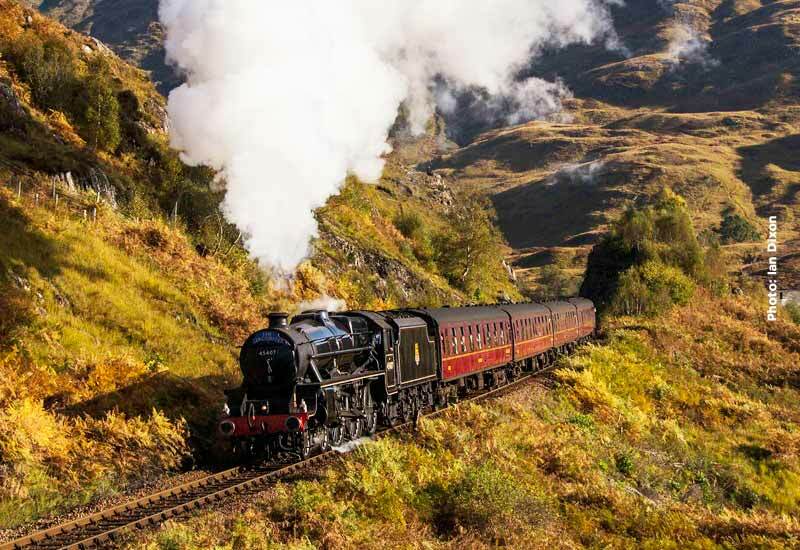 In the event that 45212 is not completed in time, Ian Riley will be sending either of his mainline ‘Black 5’s’ 44871 or 45407 (seen here in tandem on the Settle & Carlisle Railway, 23/01/2016) , with the former currently in the frame.